I often get inspiration to write a blog after listening to a song by an individual artist or band. Such was the case last week on my trail run with my trusty Amazon Music Phone App set to online shuffle. 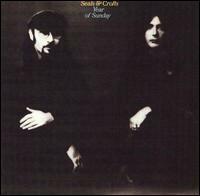 The song, Year of Sunday by Seals and Crofts came on from their 1971 (and best album) of the same name. As is so often the case on my runs, I reflect about things and my mind was on Charlottesville and the division of hate spreading across our land. The Year of Sunday is a song that comes from Jimmy Seals and Dash Crofts practice in the Bahá'í Faith "a religion teaching the essential worth of all religions, and the unity and equality of all people." Now I'm not a religious person but want to emphasise my own secular humanism and spirit in general has a spirituality that continually directs my inner compass. With that said, it doesn't mean that I can't connect with "religious music" or content, in fact I love many different traditional hymns and especially gospel music as essentially the roots to folk, the blues and on to rock n' roll. So Year of Sunday comes on and a flood of memories and emotions come rushing over me as I played that album to death in high school, but also the current, and why are we still so divided as a nation over race? So I'm listening to the lyrics and the line, " People, return to the tree of oneness" washes over me. Those are words to live by and guide me. I'm just one person but take great comfort in John Lennon's line, "but I'm not the only one." 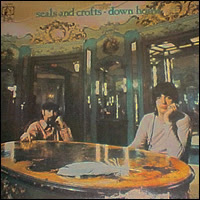 Seals and Crofts carried that spirit with them as they strived forward in their personal lives along with that same passion to bring their music forward and "to make it" in the very tough music business. And boy did they make great music! I love their musicianship with Jimmy Seals on guitars, sax and violin (he was Texas State Fiddle Champion at 9 years old) and, Dash Crofts on mandolin and guitars. The combo of acoustic guitar and mandolin were perfect timing in the golden era of the singer-songwriter (shouldn't it be "songwriter-singer," in that order?). Seals and Crofts were a great band as you have to listen to their deep cuts. Other than the 1973 hit, "Diamond Girl," I really didn't care for all their other hits that I didn't include on my playlist below. In fact in putting together the playlist from basically 1970 - 1978, I could hear how their label, Warner Brothers increasingly overproduced that original acoustic guitar and mandolin sound with orchestration and 70's pop arrangements to sell their records. If you have time, go the Seals and Crofts Wikipedia site to get the backstory including their time with Glen Campbell in the band, The Champs and on their homepage for a recent update. I found it interesting that there is not a lot video of Seals and Crofts in concert or on TV other than their hits. So this playlist is going to be a listening experience and possibly one where you haven't heard many of these recorded songs that take me back to putting on the vinyl and sitting back for a good listen. And as Ringo would say, "Peace and Love."